free experiences that await you on Louisiana's Northshore. 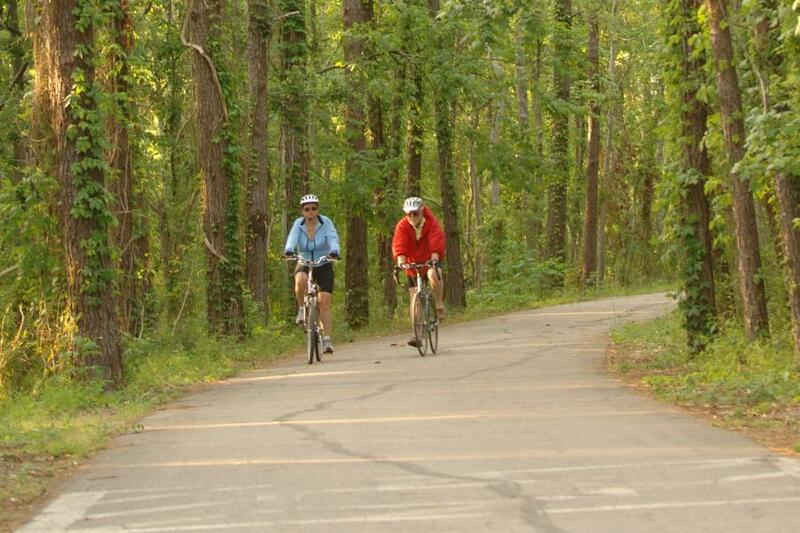 1.Bike or hike the Tammany Trace. The 31-mile rails-to-trails conservancy project is the first in Louisiana and connects five of the Northshore’s lovely communities: Covington, Abita Springs, Mandeville, Lacombe, and Slidell. Trailheads along the way provide restrooms and are host to community events. In 2017, the Tammany Trace was inducted into the Rails-to-Trails Hall of Fame. 2. Take a seawall stroll in Mandeville. 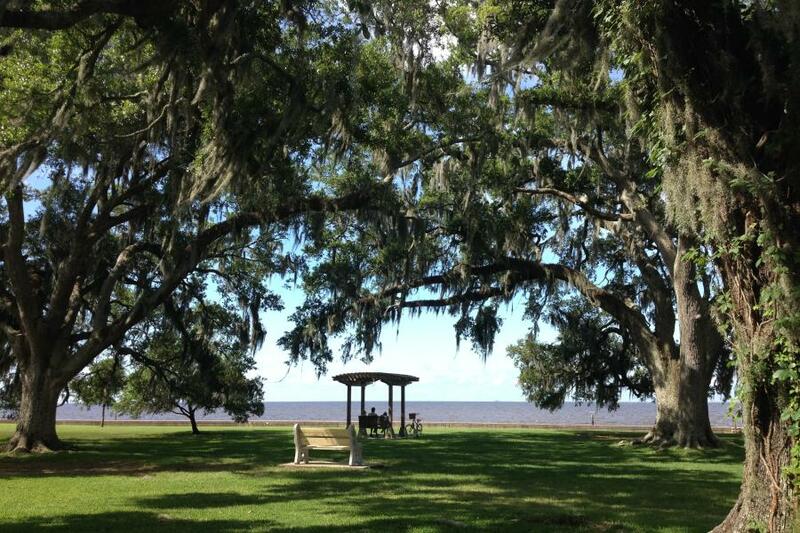 Walk along lovely Lake Pontchartrain seawall on in Mandeville under centuries-old ancient oak trees dripping with moss. Sunsets are particularly beautiful here, and you can spot the Lake Pontchartrain Causeway (the longest continuous bridge over water in the world) from the seawall. Children’s playgrounds are found on the East and West end of the Lakeshore Drive seawall. 3. Explore Bayou Lacombe Center at Big Branch Marsh NWR. 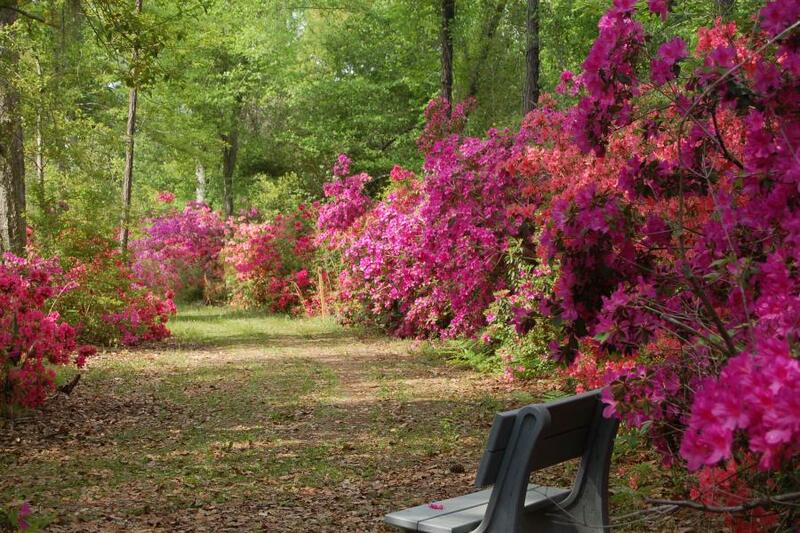 Meander two miles of trails and walkways, including a historic botanical garden with hundreds of flowering camellias and azaleas at the Bayou Lacombe Center, located on the Big Branch Marsh National Wildlife Refuge. At the visitors center, kids enjoy hands-on learning activities & interpretive exhibits. Ask for a Junior Ranger kit, and confirm hours before you go. Closed Sundays. 4. Peruse HJ Smith & Sons General Store & Museum. Family-owned and operated since 1876, this gem is located in downtown Covington. 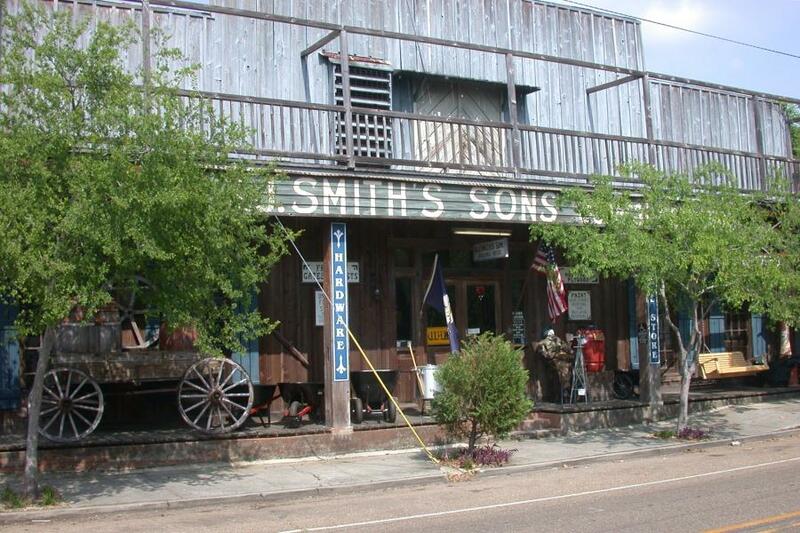 The fascinating General Store offers anything and everything you could want, and houses a free museum with hundreds of items from the past, including a 20-foot-long cypress dugout boat, cast iron casket, old farming tools, and much more. 5. Listen to the sweet sounds of music. 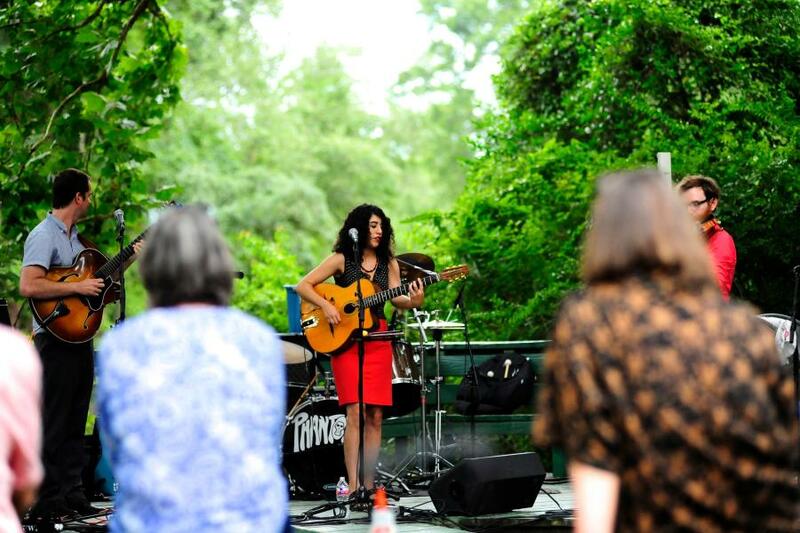 Free concert series featuring talented Louisiana musicians are held in Autumn and Spring all around St. Tammany. Not to miss: Mandeville Live! at the Mandeville Trailhead, the Rockin’ the Rails and Sunset at the Landing concerts in Covington, and Bayou Jam in Slidell. For a complete listing of concerts, check out our event listings. 6. Float, paddle, or sail. 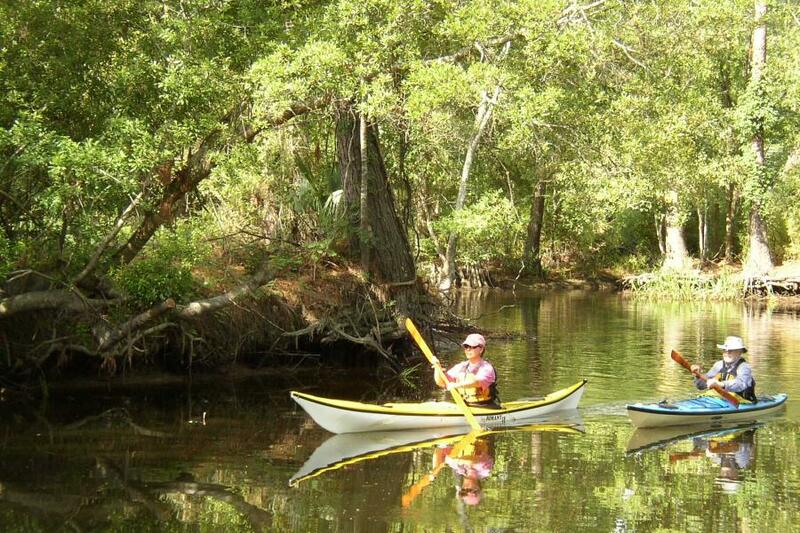 St. Tammany is known for water recreation and maritime culture. So bring your own canoe, kayak even SUP, and enjoy Bayous Cane, Castine, or Lacombe. Or, go boating on the Tchefuncte and Bogue Falaya rivers and of course, lovely Lake Pontchartrain. You can find launch sites here. 7. 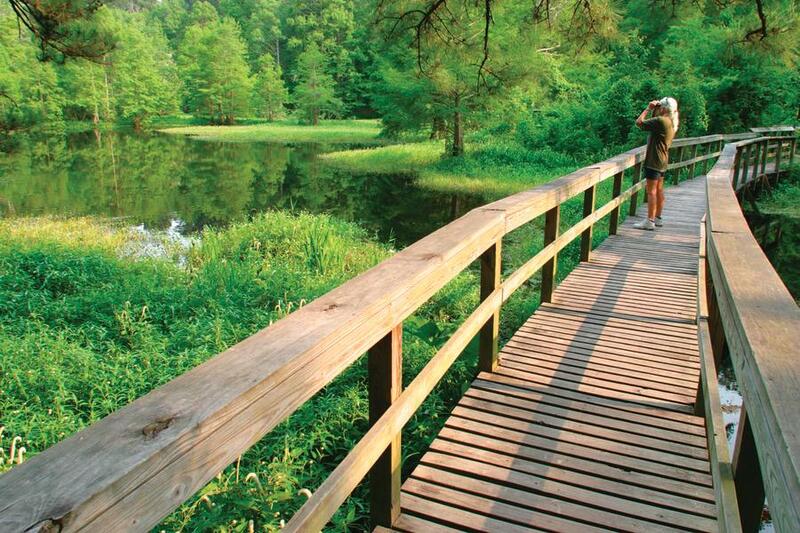 Go Birdwatching at the Northlake Nature Center. Birdwatching is a popular sport on the Northshore, and the boardwalks at Northlake Nature Center and trails along Bayou Castine are an easily accessible spot to spy great blue herons, egrets, owls, pileated woodpeckers and – if you’re lucky – the endangered red-cockaded woodpecker. 8. Play on the Playgrounds. Camp Salmen Nature Park in Slidell, Kids Konnection in Mandeville (both accessible playgrounds), and the Abita Springs Tourist Park Playground all have plenty of playground activities to wear out little legs and elicit big smiles. 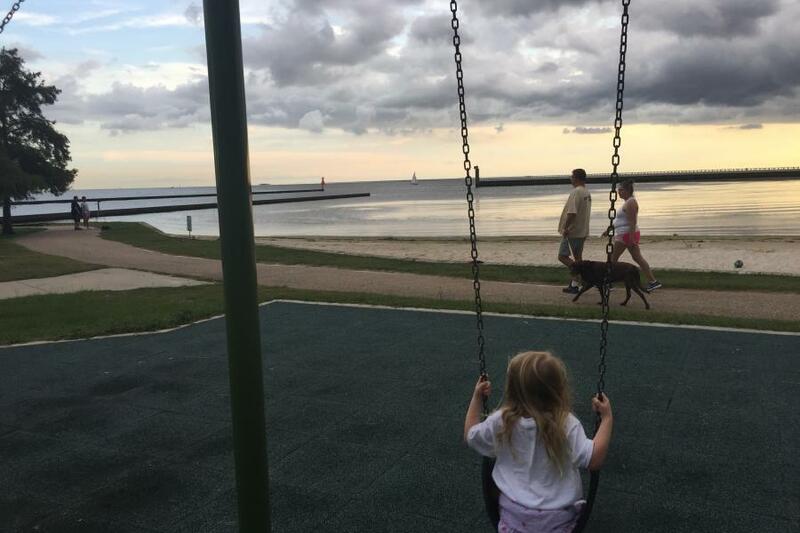 The playgrounds on Lakeshore Drive have the benefit of a spectacular lakefront view, and on the East end, beach frontage. Click here for a full list of parks, some with playgrounds, in St. Tammany. 9. Sample the Farmers Markets. There&apos;s no cost to walk around the many Farmers Markets in St. Tammany, and the free samples offered are a great way to nosh through Northshore culture and local flavor. At the Covington Farmers Market on Saturday, you&apos;ll find food and produce vendors, not to mention live music. The Mandeville Trailhead Community Market is also on Saturdays, and showcases prepared foods alongside local artists and craftsmen. 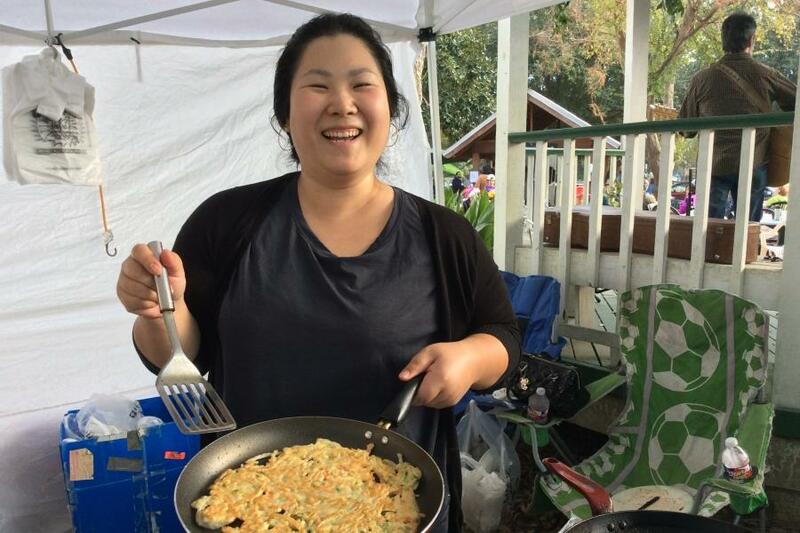 There&apos;s a lively mixture of both produce and crafts at the Camellia City Farmers Market in Slidell, also on Saturday, and at the Abita Springs Farmers Market on Sunday. Saturday mornings you&apos;ll find the Pearl River Honey Island Art and Farmers Market open. 10. Revel in a Free Festival. 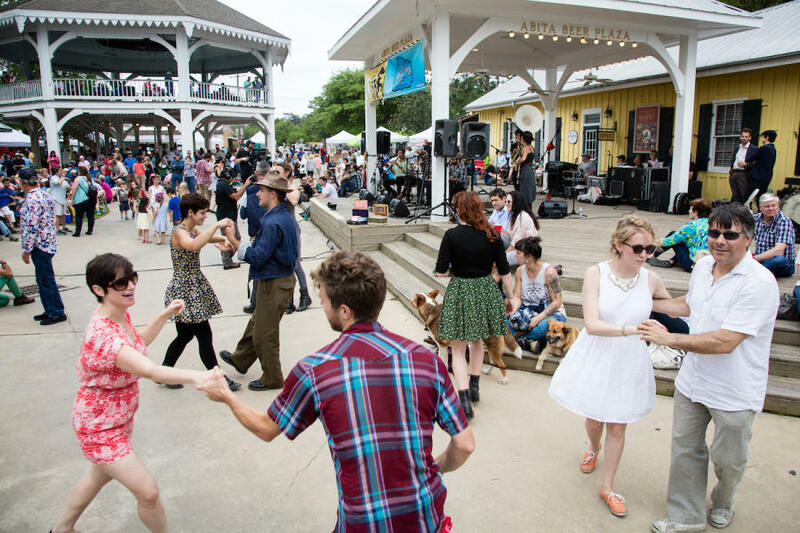 Life&apos;s a party on the Northshore, and the perfect way to experience our joie d&apos;vivre is at one of the many free festivals held year-round in St. Tammany. Art aficionados love Covington&apos;s Three Rivers Art Festival and the Spring and Fall for Art Walks sponsored by the St. Tammany Art Association. Dance your heart out at the quirky Busker Festival in Abita Springs, which celebrates New Orleans street musicians, also known as buskers. Antiques collectors appreciate the Slidell Fall and Spring Antique Street Fairs, as well as the Covington Antiques and Uniques Festival. Families appreciate the Northshore for its G-rated Mardi Gras celebrations and parades, which are not only free, krewe members throw free trinkets and beads! For a complete listing of events, see our event calendar.